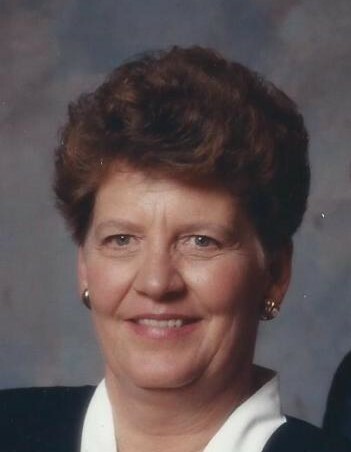 Connie Jewell our beloved Mother, Grandmother, Great-Grandmother and Sister was received into the arms of the Lord December 2nd, 2018 at age 75 surrounded by her loving family. Born June 10, 1943 in Omaha Nebraska, Connie met the love of her life Bill Jewell while working at Mr. C’s Steakhouse and attending North High School. Connie and Bill were married in 1961 and were an inseparable couple for 49 years until Bill’s passing in 2010. Surviving are their two sons and their wives; Bill Jewell (Carolyn Jewell) of Jackson Michigan and Lonnie Jewell (Lori Jewell) from Kalamazoo Michigan. Connie was a proud Grandmother of four Grandchildren; Bill Jewell (Janelle Jewell), Ashley Jewell (Andrew Blalock), Aaryn Jewell, and Shanyn Jewell, Great Grandmother to baby Billy, and beloved sister to Jean Andrew of Phoenix Arizona, Aunt to Laura Andrew of Phoenix, Robert Andrew (Malinda Andrew) of Houston Texas as well as many other loving family and friends. Connie is preceded in death by her Husband Bill Jewell of South Haven, Father Melvin Thurber of Omaha, Mother Gloria Thurber of Omaha and Brother Ronald Thurber of Omaha. In Omaha is where Connie and Bill raised their two children. Connie was actively involved in Cub-Scouts, L’l Vikes football, Pioneer Days, and the Ponca Hills Archery Club. Connie worked at several restaurants in North Omaha through the years. She created a wonderful home environment with a revolving open door of children coming and going day and night with never a dull moment. She not only was a mother to her own children, but to many neighborhood children as well. Connie and Bill relocated from Omaha Nebraska to Somerset Michigan in 1982 setting their sights high on new adventures and greater opportunity for their family. While Bill worked at Gilbert Commonwealth in Jackson, Mom went back to school to become a Nurse Assistant. Mom and Dad loved lake Somerset and being on the lake. So, in 1989 the two relocated to the shores of South Haven on Lake Michigan. Members of South Haven Yacht club for many years, they were avid boaters and enjoyed lake life. Mom was employed by State Farm, McDonald Drug, and Ichabod’s. Mom had the greenest of green thumbs which resulted in a beautiful flowering garden at her home in South Haven. She was an awesome cook whom collected hundreds of cook books and an avid craft maker. Her and Dad would frequently have guests over so Dad could unknowing to Mom, show off Mom’s cooking to neighbor friends. She always made a home a home and made guests feel special. But Mom’s greatest accomplishment was the children she raised to be honorable adults, the Grandchildren that she spoiled, and the wonderful memories that are forever ingrained in our memory. You will truly be missed by all. According to her wish’s cremation has taken place and a memorial service will be at a later date.